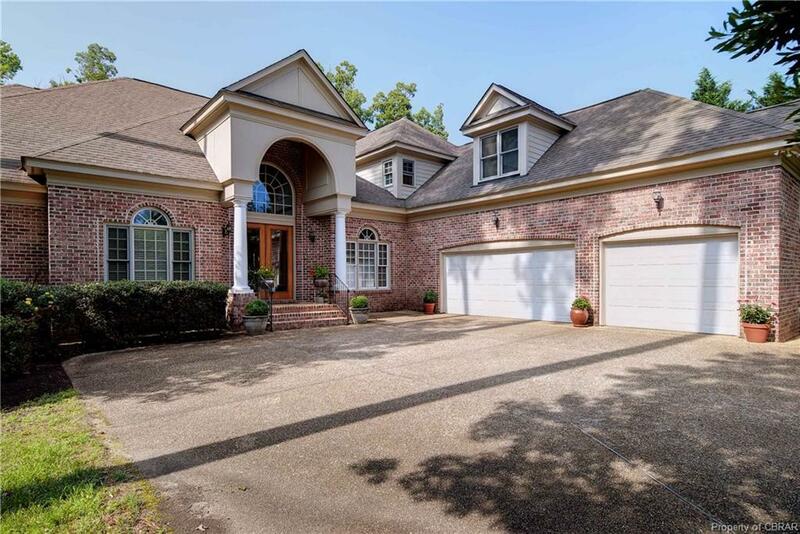 2861 Bennetts Pond Road, Williamsburg, VA 23185 (#1840932) :: Abbitt Realty Co. Welcome to 2861 Bennets Pond Road, a truly stunning home located on a private cull-de-sac homesite, and ready for immediate occupancy! 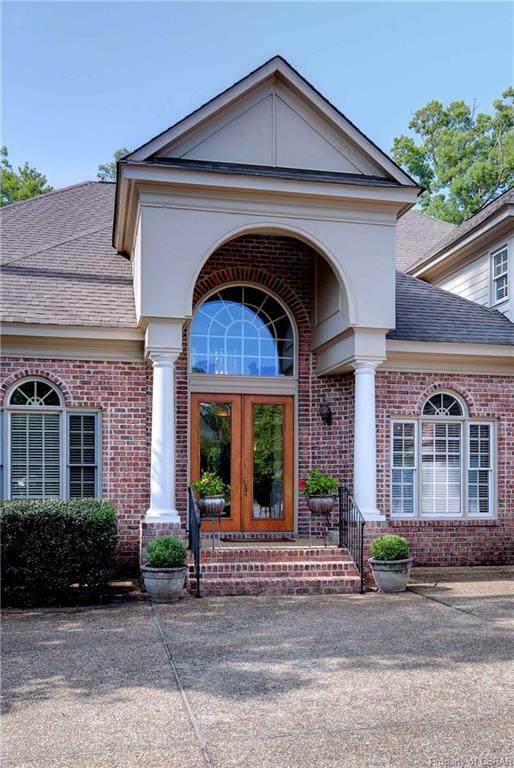 The bright, open, and quality custom home shows like new construction with multiple substantial additions, a beautifully updated Master Bath, new interior/exterior paint, refinished hardwood floors and new carpeting. 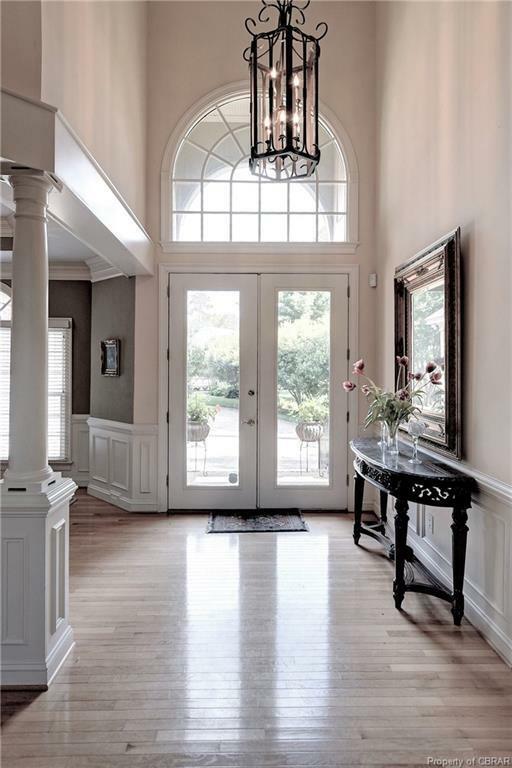 The first floor Master Suite opens to a charming Sunroom overlooking a picturesque backyard and wooded conservancy and a first-floor office boasts custom built-in cabinets and coffered ceiling. Quality abounds throughout with exceptional millwork, walls of windows and a striking Great Room with a 2-story stone fireplace. The updated, spacious, eat-in gourmet Kitchen with walk-in pantry opens to both the Great Room and Family Room for comfortable living and gracious entertaining. The second level offers 3 more Bedrooms and a huge Bonus/Media Room pre-wired with surround sound. Additional convenient features include instant hot water, a Smart Panel, central speakers throughout, ample storage/walk-in attics, and a 3-car garage. It's a must see!